I participated in an Influencer Activation Program on behalf of Influence Central for Ame & Lulu. I received product samples to facilitate my review. 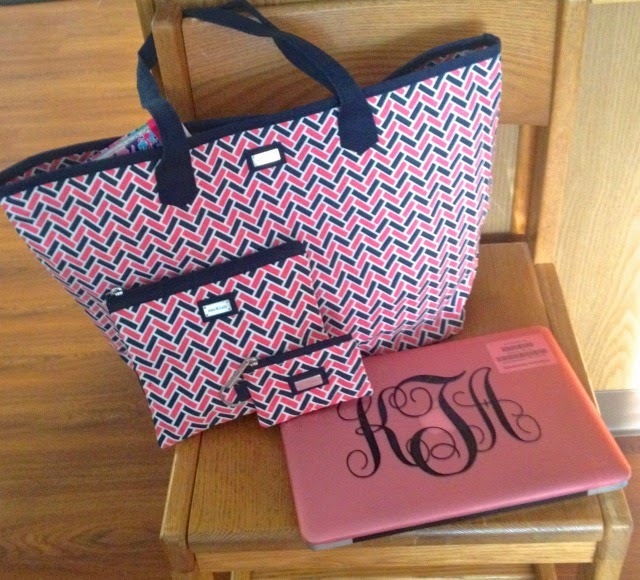 When running around campus—to and from classes, different sorority functions, and more, I always need a big tote bag to keep all of my essentials with me. This is where my Ame & Lulu Easy Tote comes in! This tote has so much space and holds everything I need from my planner to my iPad to any snacks I want to bring with me. In 2003 Amye Kurson founded Ame & Lulu for busy girls on the go just like me. Amye was an avid golfer, who was tired of the ugly look of traditional sportswear. She wanted a stylish alternative to the unattractive pieces that she found, so she created her own line for active women. Amy & Lulu has a colorful and classic all American design aesthetic, making their pieces perfect to pair with your everyday look. In addition to looking great, Ame & Lulu prides themselves on their quality construction and the authentic materials they use, which is something I love about the brand. My favorite part about my Ame & Lulu Easy Tote is that it can seamlessly go from class to a meeting and then out to dinner with friends. This bag is so roomy that it even allows me to throw a sweater or pair of shoes in the bag if I need to change up my look during the day. I think this bag is going to really be important for me during our sorority recruitment in January because I need to have so many things with me at all times! 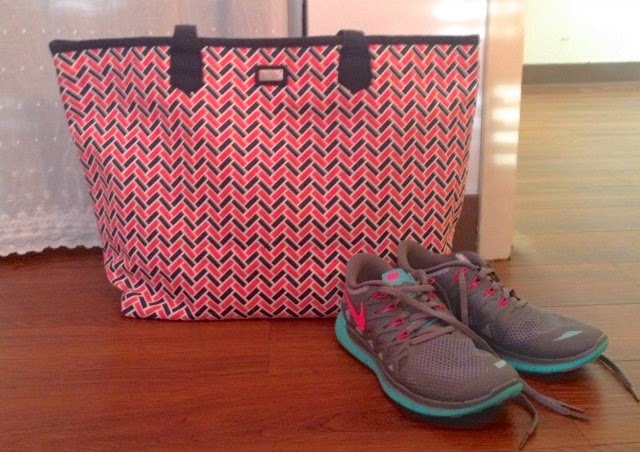 With this bag I will be able to bring just one tote instead of bringing several bags and trying to juggle them all. In addition to my wonderful tote, Ame & Lulu's Key Pouch and Essentials Insert help to keep me organized when I'm on the go. I always have a few different pouches in my bag so I can keep my items separated and make them easier to find. 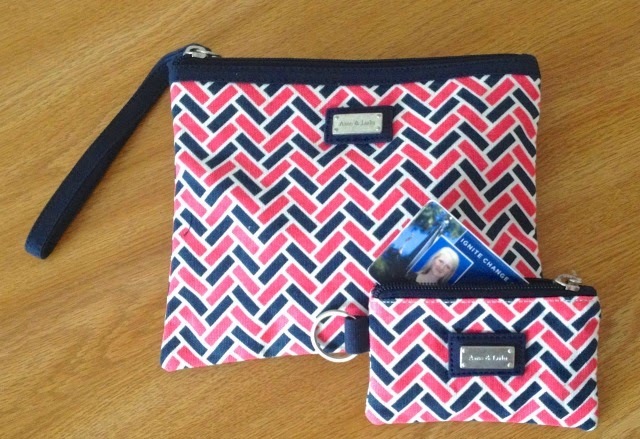 I have my school ID, and money in my Key Pouch, while I keep a few beauty items in my Essential Insert. For busy women with active lifestyles organization is key and can really help you keep on track. This is exactly what Amye Kurson had in mind when designing Ame & Lulu! For my pieces I picked out the Sugar pattern because I love pink and navy together! However, I'm not going to lie, I had a hard time narrowing it down to which pattern was my favorite because they are all so adorable. There are so many cute designs that you probably have difficulty deciding which you like too! In addition to Sugar, I really like the Canary and Villa patterns. However, since pink is my favorite color and navy is always beautiful, I went with Sugar! This bag (and pattern!) is great to pair with jeans and a top or something a little more comfortable like workout clothes. The versatility of this bag is important to me because every day is different—one day I'm not too busy and am dressed up, and the next I have on leggings and am running around doing errands. It's great to have a bag that I know will go with whatever I'm wearing and help me to keep the things I need to stay focused. With Ame & Lulu's dedication to making quality products for girls on the go I would highly recommend checking out all they have to offer! I love using my Ame & Lulu's pieces and know you will too. When you head over to their website (ameandlulu.com) type love25 when making a purchase for 25% off your order! Today I'm linking up with Confident Tuesday and Style Sessions. 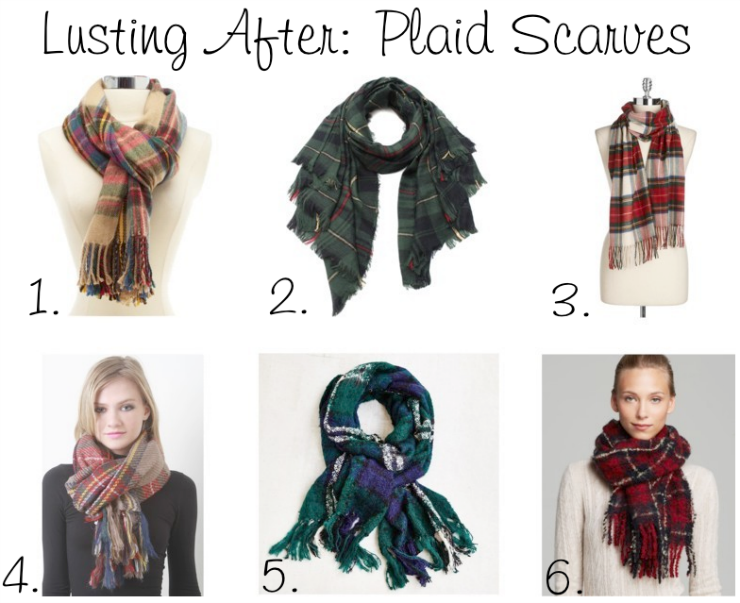 I have been dying to get my hands on a cozy plaid scarf lately! I think they are so chic and perfect for Fall. Plaid has always been a favorite pattern of mine, and I may own several plaid skirts, a plaid dress, and plaid flats, so it's shocking that I don't have a plaid scarf in my wardrobe! I hit up TJ Maxx yesterday to look for one, but unfortunately they didn't have any in stock (not that I didn't walk away with a few other items!). I've been scouring the internet though and have found these 6 that I love, my absolute favorite being #1 from Charlotte Russe. Since scarves are such versatile accessories, you can use a plaid scarf to punctuate a skirt and sweater, simple dress, or with jeans and ballet flats, just to name a few options. So now that I know what accessory I'm craving for Fall, all I need is some real Fall weather! What are you looking forward to wearing when it cools down? P.S. Before you go, today I'm hosting The Blog Baton on Instagram (@theblogbaton) so make sure to check it out! Today I'm linking up with #HowIFall, Monday Morning Gossip, MIMM, More Pieces of Me and On the Daily Express, #LetitShine, and B Loved Boston. 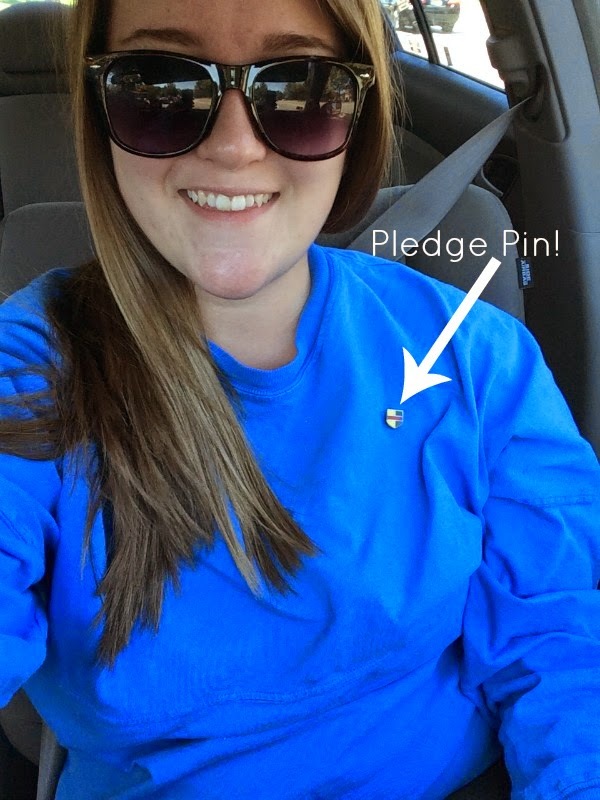 I confess that I am beyond excited that my younger sister got a bid to Alpha Gamma Delta (my sorority!) at her school! Now we're sisters times two and I couldn't be happier to share this with with her. I confess that I want to ask for a DSLR camera for Christmas, but I don't know what camera I want! I would love any advice you guys have because I am so confused. I need something good for beginners and would love to keep it around (or under!) $500. I've been looking at the Cannon t3i, but I just can't decide if it's what I want. I confess that I love coming home from school. I had to come home Tuesday to get a cortisone shot in my shoulder and while that wasn't the most fun, it's been great to have my parents take care of me and have Coco to snuggle with. I confess that I am loving this Fall weather we have been having, but I'm just not ready for boots yet. I know that sounds crazy, but I just feel weird wearing boots so early into the season; this time of year is perfect for ballet flats. I confess that I am in love with Lauren Conrad's home! It's so pretty and everything I imagined it would be. Now I feel like I want to do some decorating! Share any of your confessions below! I hope everyone has a great weekend! Today I'm linking up with A Blonde Ambition. I finally had the chance to check out the looks from New York Fashion Week. I once again turned to Harper's Bazaar to see what would be the biggest trends for Spring 2015. I love how they break down what was popular on the runways and show the many different ways these looks were styled. If you're looking for help I definitely recommend checking out their site for a comprehensive look at all things Fashion Week. We all remember gingham from our childhood, but this season designers reimagined the pattern and created chic, grown up looks with it. I love the look here from Diane von Furstenburg, it was a new take on the trend of matching separates by doing them in this season's it pattern. Putting a spin on the classic Japanese dress was very popular on many different runways during Fashion Week. Here I have my favorite kimono design, which was created by Tome; I really like how they did it in black and white because it is such a timeless color combination. I always love military looks and was thrilled to see how many designers incorporated them into their shows. My favorite was definitely this look by Victoria Beckham, which I can see the designer herself wearing. 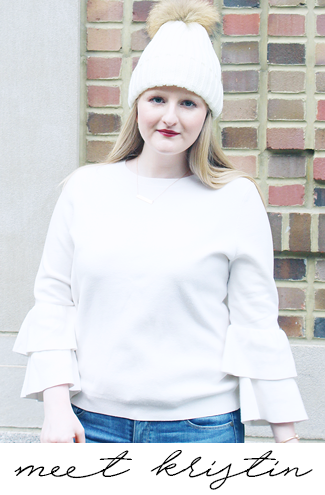 Navy is always a favorite of mine and I was happy to see it as a trend for Spring. Harper's Bazaar is even going as far as calling navy the new black. This is a look from Nonoo that showcases how navy can be worn head to toe. Suede is typically a material left for the colder months, but not anymore! I feel like designers took a cue from warm weather leather and decided to take another more winter material and rework it. Here is a picture from Ralph Lauren's show that not only shows suede, but the military trend as well. Vests shown for Spring were usually on the long side like this one at the Opening Ceremony show. I love how they styled this look and the pale pink color of the vest. In my opinion all white looks are always in style because they look so chic. For Spring and Summer I think we will being seeing a lot of white looks like the one here from J Mendel. I know we're just starting Fall, but it's always great to see what will be hot for the seasons ahead! Which of these trends from NYFW was your favorite? Today I'm linking up with Confident Tuesday.